Description: MC2 North Tower by Intracorp in Marine Gateway. Your chance to own this 21st floor suite with sweeping South/West/North/views!!! This gorgeous West facing one bedroom home has tall ceilings, high-end finishes, laminate flooring, large 22'x4' balcony and energy efficient heating/cooling system to maximize comfort. Building amenities include fitness center on main floor, meeting room & concierge. 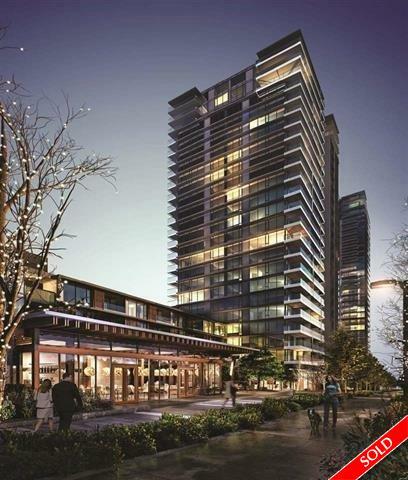 Close walking distance to Skytrain, shopping, supermarket, Movie Theater and more. Comes with 1 parking & 1 storage locker. Open Sun April 30, 2-4pm.